One of the tidbits I caught wind of at David Uosikkinen and Dallyn Pavey’s In the Pocket project CD release show at Ardmore Music Hall (and man, the place had the grape-ish smell of Aussie hair spritz piercing the club’s air) was that one of the night’s vocalists,Richard Bush, was putting the finishing touches on an EP (Back Together) with The A’s, the band he started with guitarist Rick DiFonzo and keyboardist Rocco Notte, “There’s really nothing at stake, no pressure, no label, no tensions,” says DiFonzo. “Just having fun. We sound like us only better.” When I asked if Bush would still have the white beard that he donned at the In the Pocket show, DiFonzo said with a laugh, “His is, very fortunately, the only beard in the band, and won’t be there long.” Their next gig is at The Social at Revel, July 5, at 8 p.m. Before I get off the topic of In the Pocket’s Ardmore show, the gig had local celeb attendees such as WMMR DJ Pierre Robert, chef Chris Scarduzio, top dog Philly lawyer Nino Tinari, scribe Stephen Fried, and a.kitchen’s David Fields. Watch for this same crew to head to Havana in New Hope on May 17 for the next In the Pocket show after Uosikkinen and the rest of the Hooters return from Germany. The premise is simple: David Uosikkinen leads his bandmates in the Hooters, along with a coterie of this city’s finest rock-and-soul players, through a project of his own devising, a catalog of his favorite Philadelphia-rooted songs. You can argue with Uosikkinen’s choices, but you can’t argue with his enthusiasm or reach (“I Ain’t Searchin’ “, from Philly late-1960s favorite the American Dream is alone worth the price of admission). Under the moniker In the Pocket, Uosikkinen’s shifting collective ensemble released its tracks online (to benefit the Settlement Music School) and now has compiled them on a CD, In the Pocket: Essential Songs of Philadelphia, celebrated with a packed-to-the-rafters concert Friday at Ardmore Music Hall. This show was more of a 1980s family reunion than record-release gig. The Hooters made their bones at the old 23 East (now the Ardmore Music Hall) as did guitarist Tommy Conwell, who recalled his first gig there 30 years ago after tackling a blistering version of the Dovells’ 1963 hit, “You Can’t Sit Down,” with saxophonist Jay Davidson and Hooters organist Rob Hyman (both doing yeoman work with drummer Uosikkinen throughout the night) rolling soulfully behind him. Precise versions of In the Pocket‘s tracks were as much of a prickly pleasure (Jeffery Gaines’ sharp-as-a-knife rendition of the Nazz’s “Open My Eyes”) as were their variations (the Hooters’ Eric Bazilian taking the live, nervy vocal duties from Ben Arnold on a jittery version of Robert Hazard’s “Change Reaction”). Though the A’s vocalist Richard Bush was in full flower throughout his front-man duties (including a smooth, Hooterish take on his “Woman’s Got the Power”), it was most impressive hearing Soul Survivors vocalists Charlie and Richie Ingui lend their silken, smoky pipes to an epically dynamic arrangement of the O’Jays’ “Backstabber” – one of several non-album tracks rendered throughout the evening. 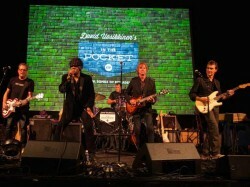 Special Concert Celebrates Debut “In the Pocket” CD. You might not agree with David Uosikkinen’s choices about what qualifies as “essential.” Doesn’t matter. Each of the tracks that The Hooters drummer and his slate of local musician pals tackled — finally compiled on In the Pocket: Essential Songs of Philadelphia — have returned with an ebullient spirit of friendship and respect. “I never meant to outdo the originals,” says Uosikkinen. “I wanted to reintroduce songs, celebrate a community of artists and remind people of the melting pot of sounds and stories we come from here.” Some tunes are aged classics, some come from Uosikkinen’s ’80s/’90s contemporaries. Either way, Essential Songshas an energy all its own. 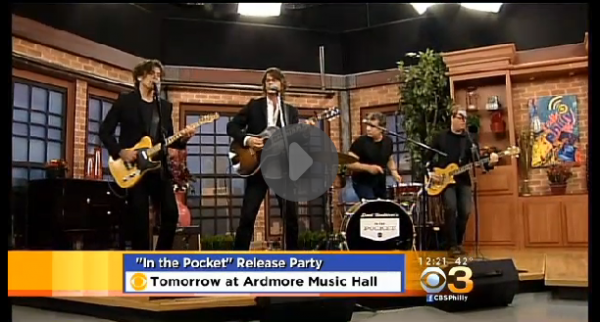 An all-star lineup of local musicians will perform a special concert at the Ardmore Music Hall Friday night to celebrate the release the debut “In the Pocket” CD. The project is the brainchild of the longtime drummer for the Hooters. In The Pocket performs a Beat Up Guitar, and talks about their album release party at The Ardmore Music Hall. Philly’s all-star musical collective David Uosikkinen’s In the Pocket (ITP) has just released its debut studio CD, “Sessions.” ITP will celebrate the CD’s release with a concert at Ardmore Music Hall on April 18. The CD is comprised of 10 songs. 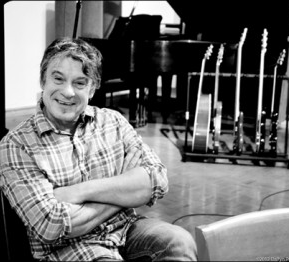 All the songs were selected by Uosikkinen, long-time drummer of Philly’s famed band The Hooters. They’re songs that he considers to be essential and all were either originally recorded in Philadelphia or were written and performed by artists from Philadelphia. David Uosikkinen reunites with fellow founding members Rob Hyman and Eric Bazilian for an anthematic reworking of “Beat Up Guitar,” originally the closing track from the Hooters’ folkier, more personal 1989 releaseZig Zag. There could perhaps be no better concluding song for Uosikkinen’s new Philly-focused set of songs. Hooter’s Drummer Releases CD. Guest artists on the disc include Patty Smyth and Jeffrey Gaines among others. 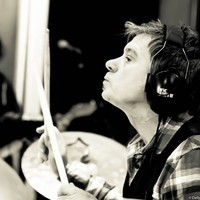 April 18: Hooters drummer David Uosikkinen’s In the Pocket project finally gets the official CD treatment in the form of Sessions, which includes 10 tracks of exceptional Philly songwriting, all previously available only for download. 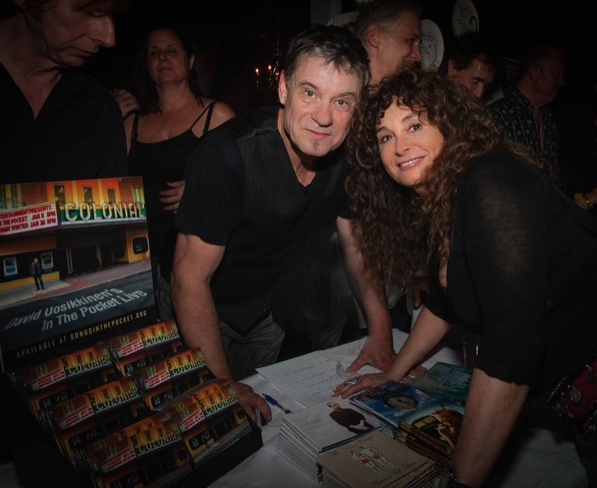 Guest artists Eric Bazilian, Rob Hyman, Patty Smyth, Jeffrey Gaines, Jim Boggia, Ben Arnold and many others will be on hand to celebrate the CD’s release. 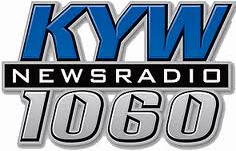 9 p.m. Ardmore Music Hall, 23 E. Lancaster Ave., Ardmore. Call (610)917-1228 or visit www.ardmoremusichall.com. Every weekday in the 11:00 a.m. hour I play an Undercover Song. 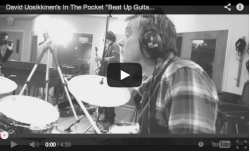 Today I will be playing “Beat Up Guitar,” another song from David Uosikkinen’s In the Pocket: Essential Songs of Philadelphia project, this time covering The Hooters. 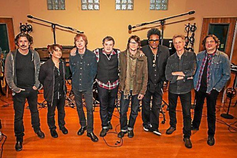 That’s Jim Boggia on vocals and Uosikkinen on drums, joined by an all-star Philadelphia cast of Eric Bazilian, Steve Butler, Rob Hyman, William Wittman, Matthew Cappy, Ben Arnold and Jeffrey Gaines. Tune in at 88.5 XPN or online at xpn.org to hear the song on the air, and watch the recording session below.